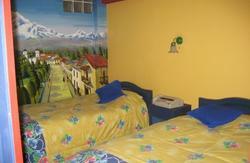 Cruz de los Andes is a beautiful, newly built hostal situated in the heart of La Paz!! 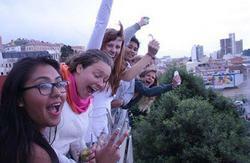 We welcome backpackers, families, individuals and tour groups from all over the globe. We are within walking distance to many must-see landmarks of La Paz, including la Plaza San Fransisco, the witch's market, calle Sagarnaga, which is full of local artisans, Bolivian Pubs and more. Public transportation is readily available, and the hostel also works closely with Julius Tours Travel Agency to help you plan trips to nearby cities and cultural destinations. 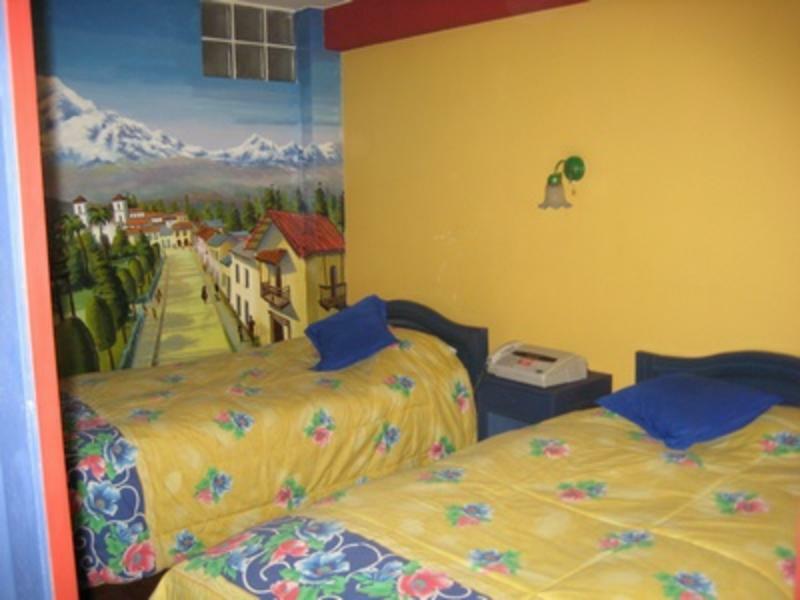 Thoroughout the hostal, and in each room, are beautiful murals of scenic Bolivia hand-painted by a local artist. Every room offers a private, clean bathroom with hot-water showers, balconies, cable TV and telephones. Wireless internet is available in some rooms. Rooms are cleaned daily and supplied with fresh sheets and towels when you arrive. A buffet breakfast is included in the price of the room, offering various fresh fruits, fresh-baked bread, cereals, tea, coffee, with a la carte items also available. 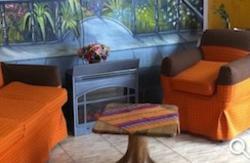 There is 24 hour Internet access available in the lobby as well as a book exchange. The multi-lingual staff is friendly and ready to assist you 24 hours a day to make your stay all that you imagined it to be. From San Francisco Square, go up 3 blocks on Calle Santa Cruz,turn right on Avenida Illampu,turn left on calle Aroma walk 100 Feet Cruz de los Andes will be on your left.